Valentine’s Day is one of my favorite holidays. Yes, candy, flowers, and the idea that love is in the air is nice, but truly I love the color palette of Valentine’s. I love chocolate brown and red, pink, cream, and turquoise color combinations, and for me anything I make for Valentine’s can be used year round. 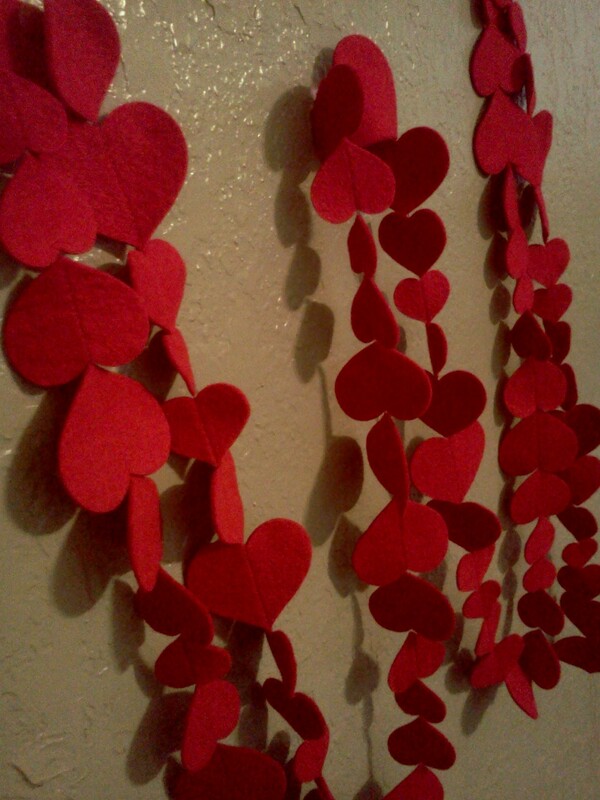 Recently I started working on a Heart Felt Garland. 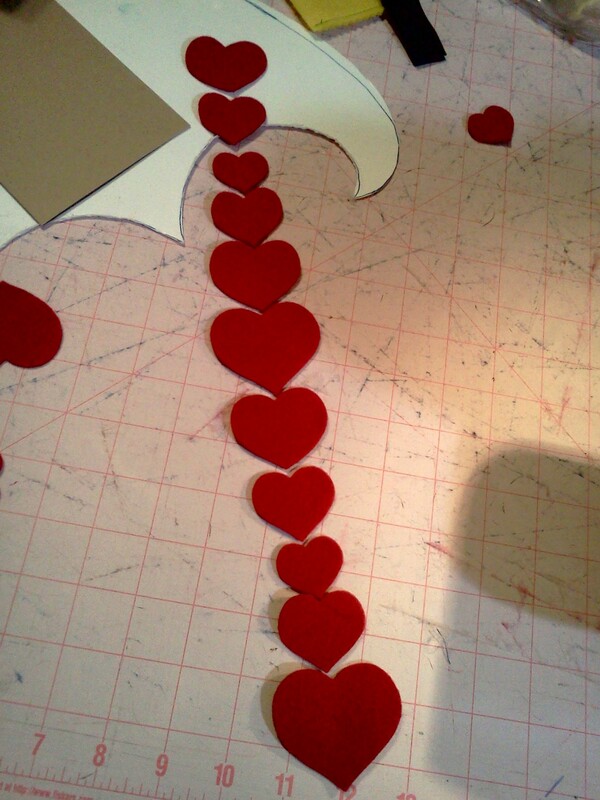 Unlike the felt circle Christmas tree we made using free hand cut circles, I prefer to use a die to cut out my hearts. 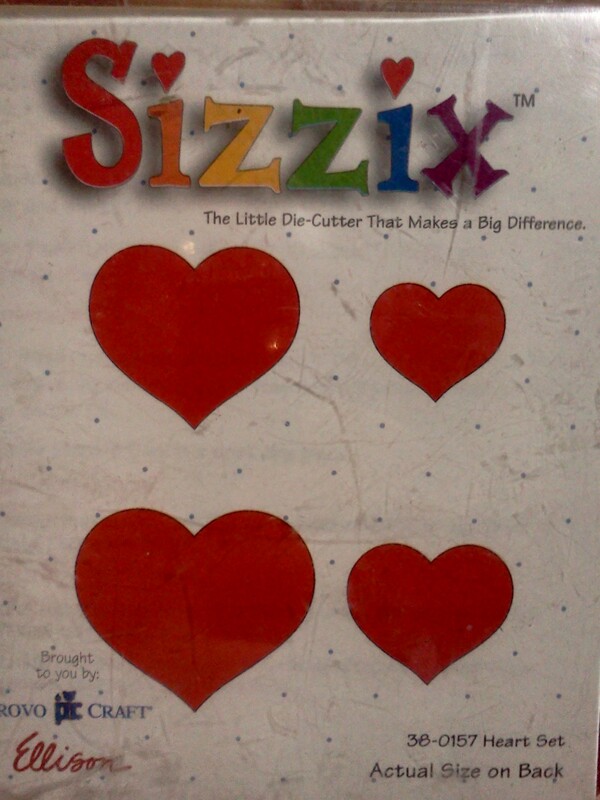 The dies make the cutting out go faster, it ensures uniformity in size and shape, and its fun to do with kids. I punched out 100+ hearts with my four year old son. He’s super into mechanical things, and he thought turning the handle of the big shot and plucking the hearts off of the cutting mat was the coolest thing in the world! Whether you are cutting by hand or using a punch, cutting out a hundred hearts is time consuming, but we used it as a way to merge our adult and child worlds and spend time together. Stitching the garland is easy! 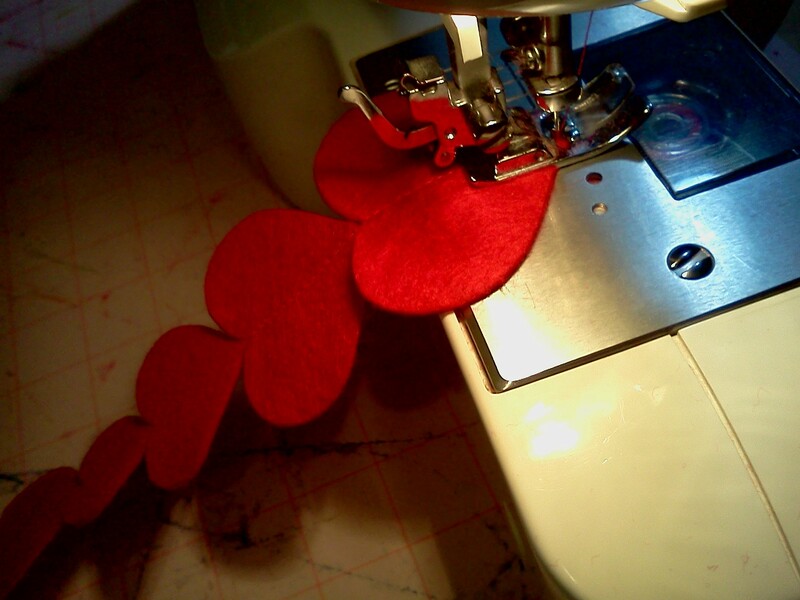 Make sure you have a good tail of thread at the beginning, and back stitch on the first heart as you would any sewing project. *Note – don’t leave too much space between the hearts as you sew! Regular sewing machines are not made to create thread chains as sergers are, and leaving too large a space between the hearts can cause your bobbin thread to jump and the machine to bog down. As you can see as my hearts run out the back of the machine, the tip of the first heart fits right into the cleavage of the next heart.